Mother Nature can be a fickle friend! But worry not dear skiers. 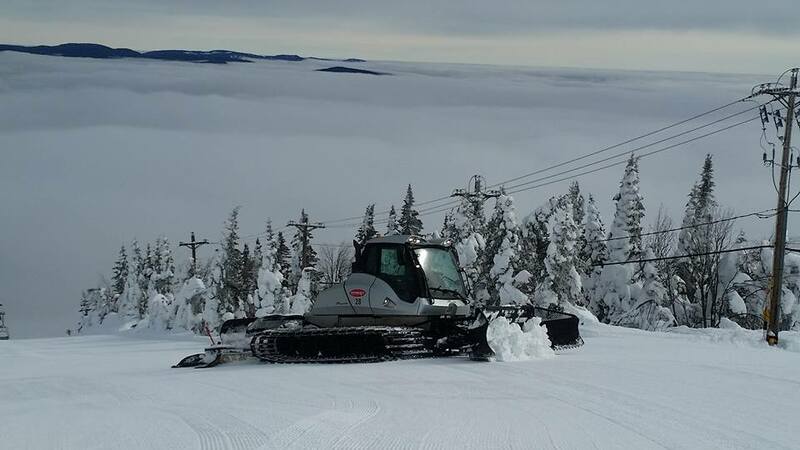 Our Mountain Ops team is ready for anything and is continuously working on making the best conditions. While it’s warmer this week, we are experiencing springlike snow conditions. The wet, heavy snow provides a fun, easy to ski, gliding experience and is a favourite for many guests. For most, spring conditions are ranked second best, right below powder skiing. Unless there are risks of electrical storms, the lifts will remain open in the rain. No lift lines, fun slushy snow, warm weather… skiing these conditions is definitely worth trying! Plus, you never know when the sun will come back out! Midwinter rain-soaked snow behaves much like spring snow, meaning that grooming this snow can cause it to deteriorate at a much faster rate. 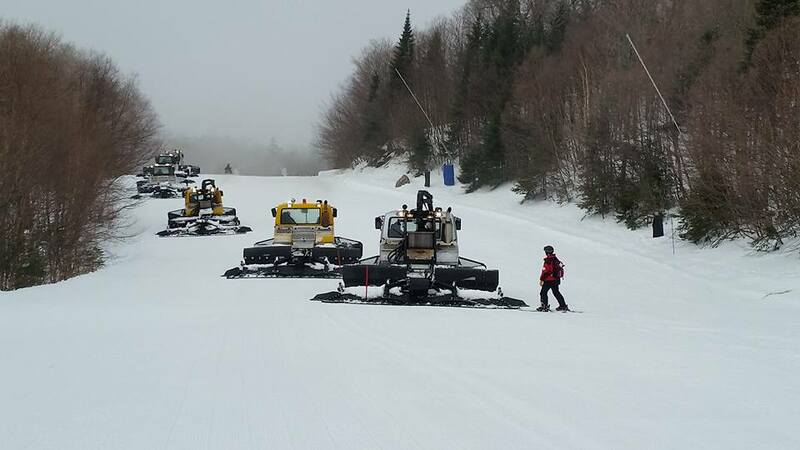 Typically, a rain packed surface offers a better skiing and boarding experience than trying to groom it with a machine, which would leave irreparable marks. That’s why we wait for the water to drain from the snow before grooming. We constantly keep an eye on weather changes, which means we’re aware that we are looking at a tricky transition period next week, as the cold temperatures are set to return to Tremblant. We will be vigilant in tracking the snow before it freezes, breaking it up so the frost doesn’t create a thick layer of ice. A result of this operation are “golf balls” which will be broken apart gradually by skiers and groomers. It can take up to 3 days before the mountain gets back into top shape, during which some machines will be working up to 48h non-stop. Until then, we’ll be enjoying a teaser of spring to come!